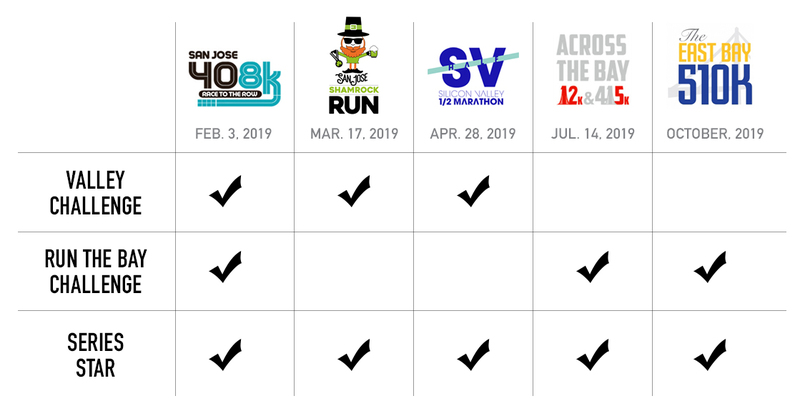 Get ready for the big game and kickoff your day with the 8h Annual San Jose 408k "Race to the Row" Sunday, Feb. 3, 2019. The 8k Run/Walk starts in downtown San Jose and finishes at beautiful Santana Row. The Pat Tillman Foundation is the Official Benefiting Charity Partner. Can't make it on race day but still want to participate in the San Jose 408k? You can run 8k remotely on your own and we'll mail out your race shirt, medal and race bib. This also qualifies you for the Run the Bay Challenge Medal, Valley Challenge, and Represent Running Series Star. Remote Runners Price Includes: Official 408k Tech Shirt with design by Cukui Apparel, and Finisher Medal sent to you the week after the race. Remote running qualifies you for the Run the Bay Challenge Medal as well.